My Featured Blogger this week is Lynn Abbott of Through Ink and Image. Although we’ve never officially met, Lynn and I have adopted an “old friends” view of one another, having lived and worked in so many of the same places over the years. We probably passed like proverbial ships in night before officially meeting. Lynn blends her beautiful paintings and thoughtful reflections into posts that are always worth reading and meditating upon. And it’s clear she strives to live the kind of God-focused life she writes about. Honesty, transparency, and inspiration–what’s not to like? Visit her blog and you might just turn out to be Lynn’s newest old friend. This entry was posted in Culture, For Pastors and Teachers, Quips and Quotes, Religion/Faith and tagged blog, blogger, God, inspiration, meditation, painting. Bookmark the permalink. 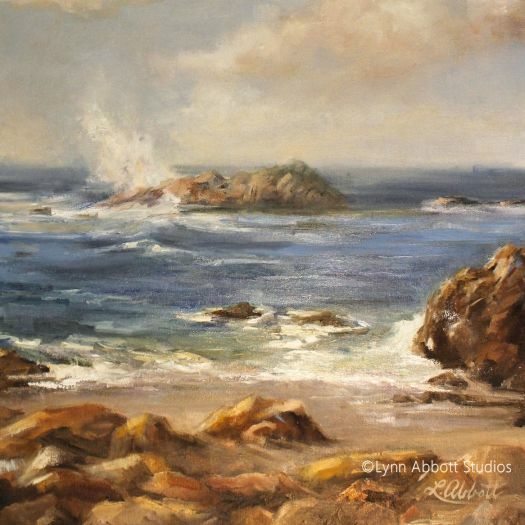 Love Lynn, and her paintings are amazing! Love her blog too! Thanks Mitch! God bless! Lynn is indeed a gem and multi-talented. I’ve found that she has a unique ability to take a biblical lesson and infuse it with practical application for the here and now. I think she’s on a bit of a sabbatical right now, looking forward to her return. You picked a good one to highlight, my friend! Lynn is awesome. She and her husband have been a particular blessing to me, and I thank God for her. One day I want to purchase one of her prints. P.S. Just wish to say also say “thank you” to all the friends who have commented and liked your post, Mitch! We belong to such a great blogging community with really amazing bloggers and friends!